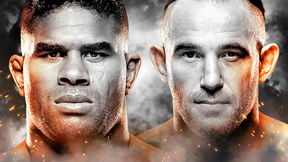 EFN is back LIVE on UFC FIGHT PASS with another fantastic card. Sergey Pavlovich meets Mikhail Mokhnatkin in the main event. In the co-main event of the evening, Antonio "Bigfoot" Silva clashes with Vitaly Minakov.